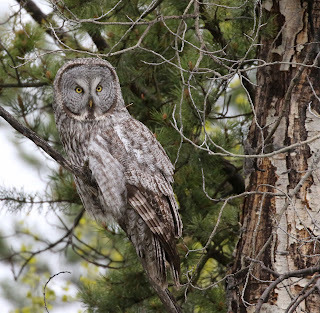 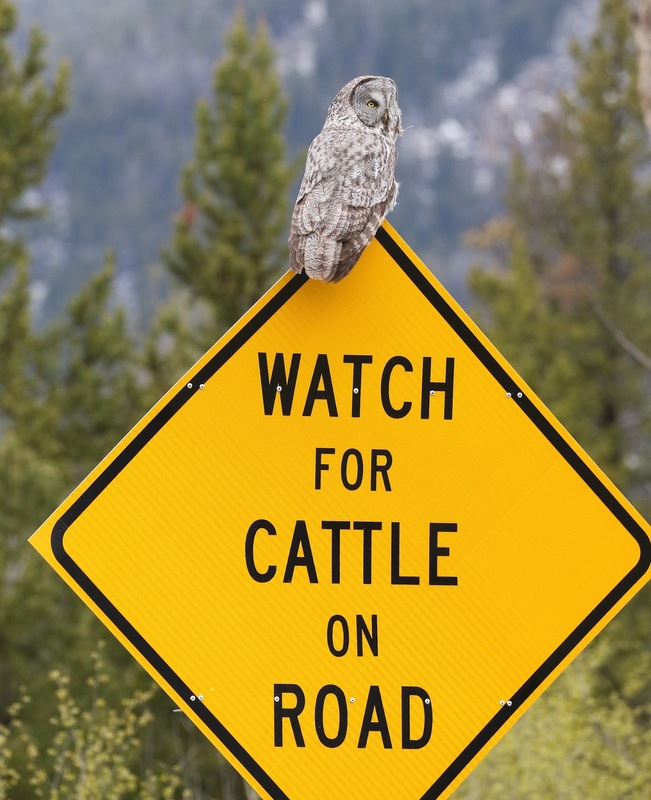 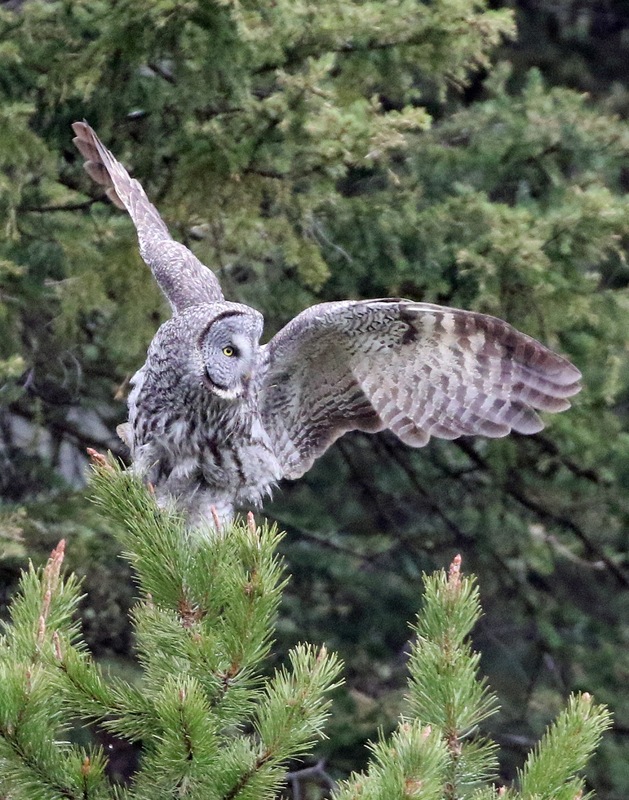 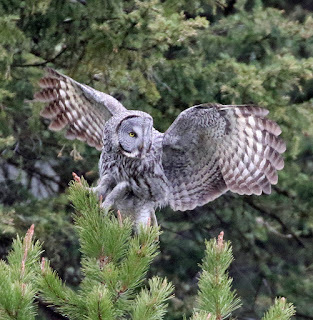 Steve Bird's Wildlife : Owls in Yellowstone National Park, Wyoming. 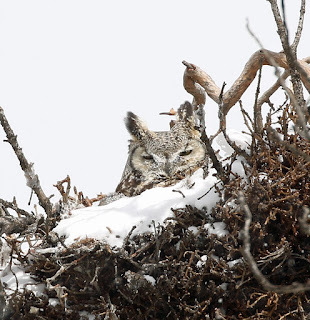 Owls in Yellowstone National Park, Wyoming. 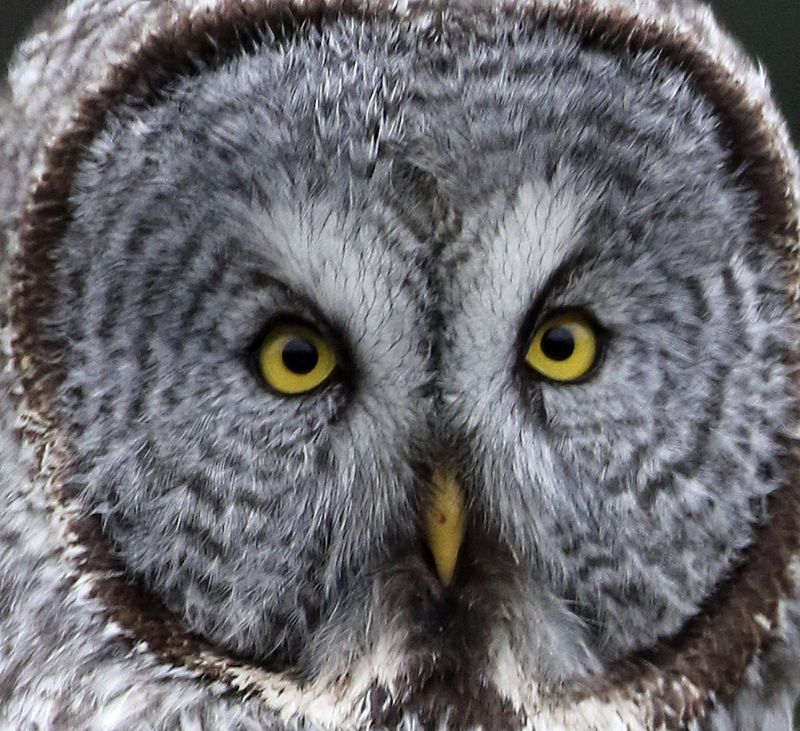 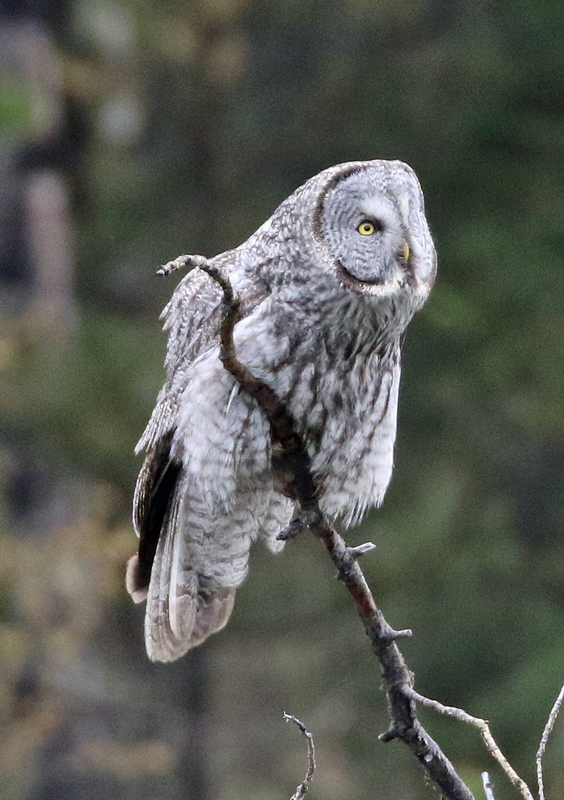 One of the highlights of our trip was a superb Great Grey owl that was so confiding it defied belief. 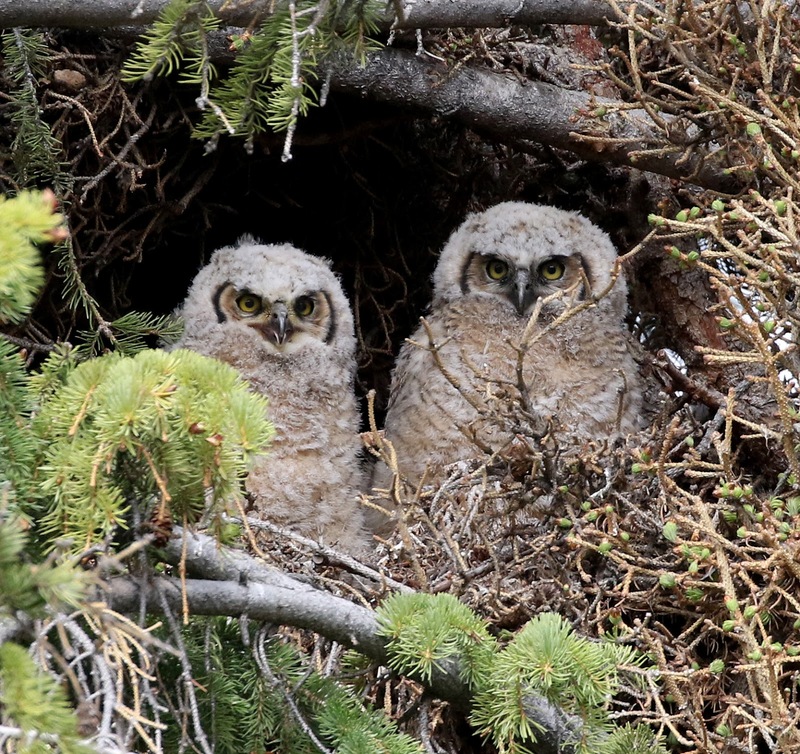 We also found two nest of Great Horned Owls.one with chicks. 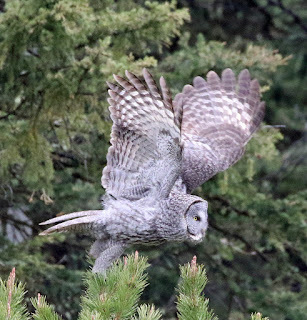 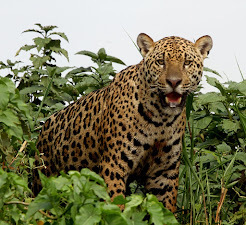 Amazing just 20ft away perched on a post beside the road. It was totally unconcerned by our presence and eventually flew just a short distance to a sign post where it was obviously watching for cattle on the road! 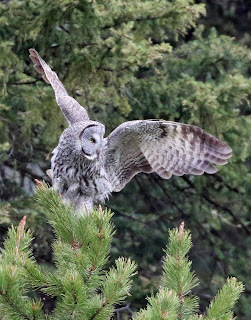 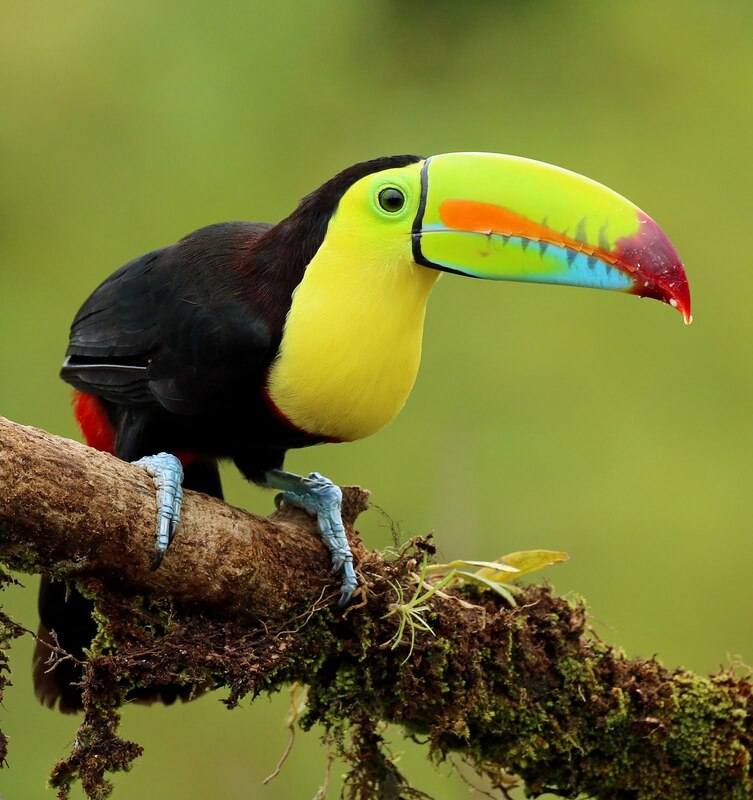 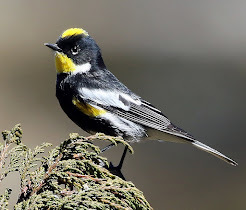 What a fabulous bird, it moved to the other side of the road and perched on a small tree where I managed to get some great flight shots as it flew off to the next tree. Earlier in the day we found a Great Horned Owls nest with an adult and two chicks. The other adult was perched in another tree nearby. 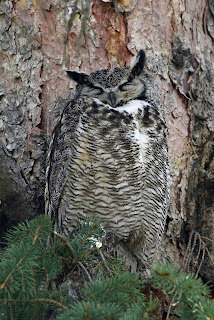 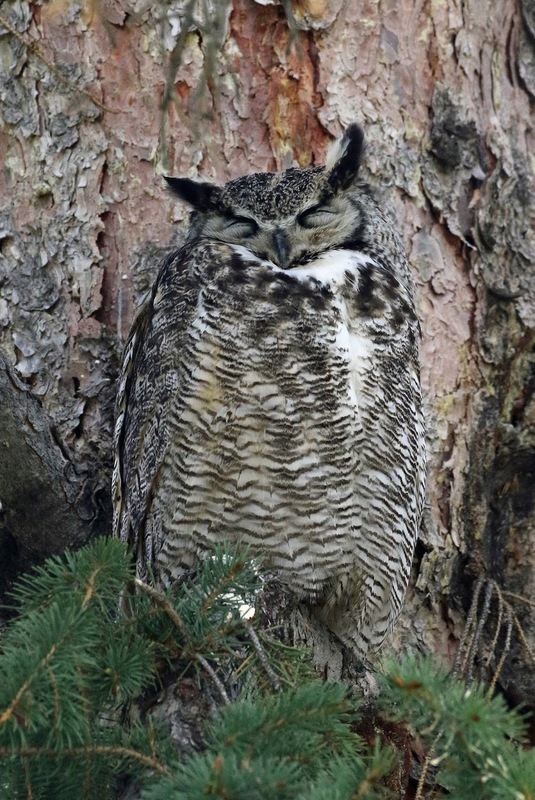 And here was the adult Great Horned Owl fast asleep. Mammals of Yellowstone National Park, Wyoming.